CF’s Visual and Performing Arts Department will present”Music and the Brain” by local neurologist José Gaudier, M.D., P.A. on Wednesday, Feb. 13, at 12:30 p.m. in the Webber Center. Gaudier is a diplomate of the American Board of Psychiatry and Neurology. He is also a member of the American Academy of Neurology, American Medical Association, Florida Medical Association and Marion County Medical Association. 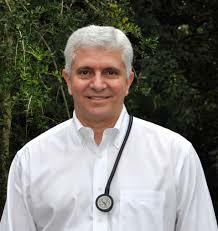 He has been instrumental in bringing to Ocala a number of medical educational programs for physicians and has participated in a large number of research projects helping bring cutting edge technology to Ocala. For his work in the Medical Society of Marion County, he was named vice president of the organization in 2006-2007 and president in 2007-2008. In his passion to educate others, Gaudier has lectured patients and colleagues on various neurological topics. In addition, he has co-authored of several articles.